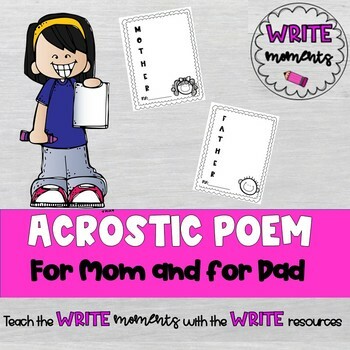 A Mother's Day acrostic poem that students can create words or sentences using the letters of MOTHER. I have also included one with FATHER. Students can then decorate the paper to create a memorable gift.